Take a chunk of Eastern Europe and infuse for centuries with a pinch of Middle Eastern influence and a sprinkling of Byzantine beauty. Conveniently close, yet tantalisingly different, Georgia lies between Turkey and Russia on the shores of the Black Sea. With an intricate history confounded by its position on the crossroads between Europe and Asia, there’s a fascinating cultural heritage to uncover. Its well-read population are famed for their hospitality and the food combines an exotic blend of flavours. Known as the ‘balcony of Europe,’ Georgia’s glorious upland scenery mellows into gentle vine-clad valleys around Kakheti, producing some world-class wines. 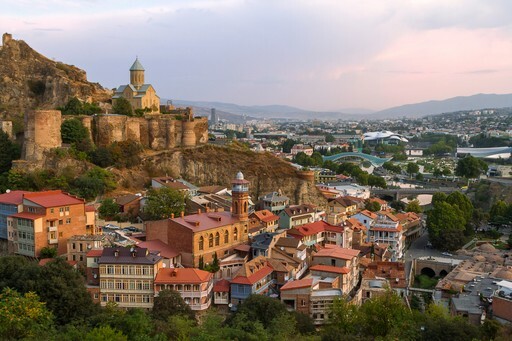 Contrast the dynamic capital of Tbilisi with remote villages hidden amongst the peaks of the Caucasus, and the buzzing beaches of the Black Sea... One thing’s for sure – this intriguing country has plenty to explore. There are many wonderful experiences to be had in this ancient and intriguing country. For further inspiration take a look at the trip ideas put together by our trusted local experts at the foot of this page, but in the meantime here are our top three things to do in Georgia. 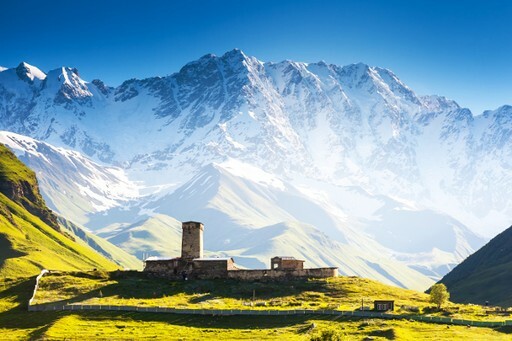 High in the rural heartlands of the Caucasus Mountains, the true splendour of Georgia is laid bare. 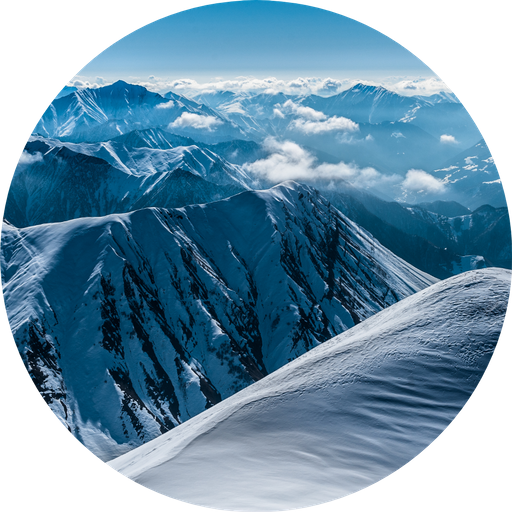 Alive with fascinating tales and myths, the Caucasus hold a kind of magic that has remained unchanged for centuries. Journey through steep peaks and picturesque villages where Jason adventured with his Argonauts in search of the Golden Fleece. This is prime hiking country with routes to suit all abilities. The Svaneti region is particularly spectacular and is home to Ushguli, Europe’s highest inhabited village. Georgia’s colourful and cultured capital offers a fascinating blend of the old and the new. Divided in two by the River Kura, around its banks the laidback Old Tbilisi is perfect for discovering on foot. Explore hidden courtyards and narrow alleys and discover crumbling buildings alongside trendy pop-up galleries and underground cafés. At night the city comes alive with a fun and sociable nightlife that often spills out onto the streets. Indulge your taste buds and feast on a delicious blend of European and Middle Eastern-influenced delights. 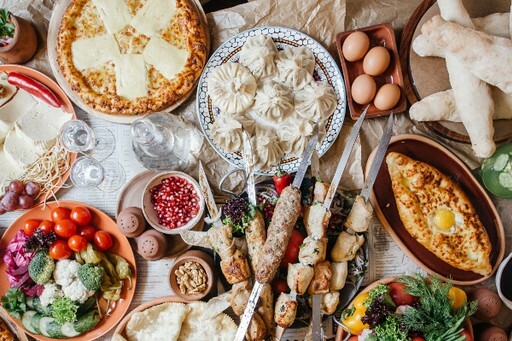 Be sure to try Khachapuri – bread stuffed with melted cheese, and Khinkali – some seriously tasty dumplings. Pair these with herby, mezze-style fresh salads and hearty Persian-spiced stews. As well as boasting an excellent food scene, Georgia is one of the oldest winemaking regions in the world. Across the south of the country, 8000 years of tradition are respectfully upheld by passionate small-scale wineries. When should I visit Georgia? Spring and autumn (May, June and September) are the best times to travel for reliable sun and milder temperatures. Those looking to miss the crowds should consider travelling in Georgia’s off-season, the months between November and February. And if you’re planning to sun yourself on the Black Sea coast, July and August are the hottest months but be prepared for a some humidity. Create your bespoke holiday to Georgia!